It's too early to tell if Yasser Arafat died from radiation poisoning, said D'arsy Christian, a spokesperson for the Institute of Radiation Physics in Lausanne, Switzerland. In an interview with Army Radio, Christian said that the Institute, which found traces of polonium on the clothes of Yasser Arafat, would need to examine Arafat's body to determine whether or not the polonium killed him. 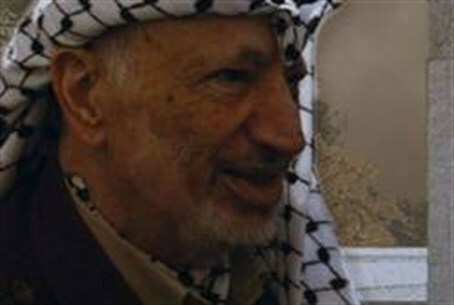 The discovery of the radioactive material came after Arafat's widow, Suha, transferred some of the Fatah terrorist leader's clothing for analysis, in preparation for a documentary. The Swiss lab detected small traces of polonium on Arafat's clothing, bringing to mind the death of former KGB agent Alexander Litvinenko. Litvinenko was killed in London in 2006 by polonium poisoning, after a small amount was added to his tea.